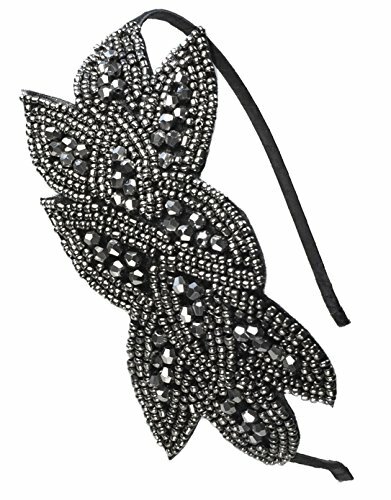 This headpiece in inspired in the Art Deco 1920's fashion era, and it makes the perfect accessories for your vintage Great Gatsby dress. Made with high quality pewter beads and fabric and measuring 2 inches wide x 5 1/2 inches long. Great accessory for any hair style. Also a great gift for someone special. The metal band is covered in black fabric for a nicer look and it measures 1/4 inch wide x 15 inches long making it not too tight and very comfortable to wear. If you have any questions about this product by CB Accessories, contact us by completing and submitting the form below. If you are looking for a specif part number, please include it with your message.